The Linenspa bed chair pillow is a good choice for many reasons. Instead of polyester this chair is filled with shredded foam. 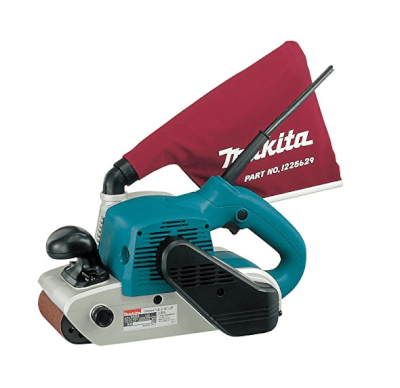 The foam will retain its shape for a long time so that you do not lose your comfortable position unless you want to. 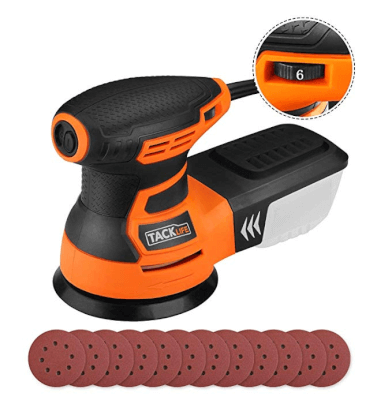 Foam will also resist clumping unlike polyester to keep its shape and quality fine for a long time. This chair is perfect for children and adults who like to read in their beds. 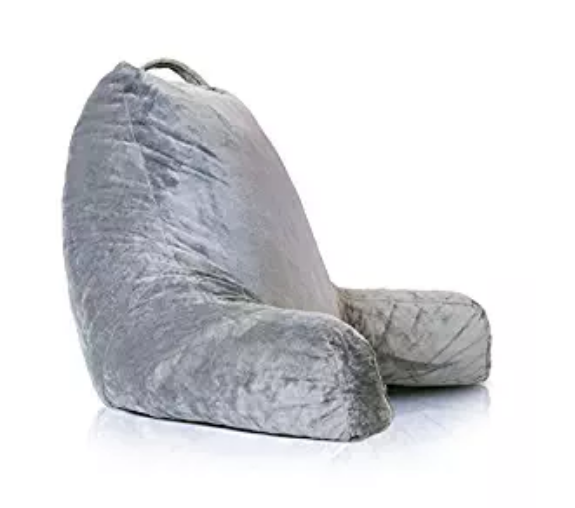 Since stacking pillows is not as comfortable this chair will provide you the support that you need while sitting up in bed. It is also made from velour which is soft, comfy and durable as well. 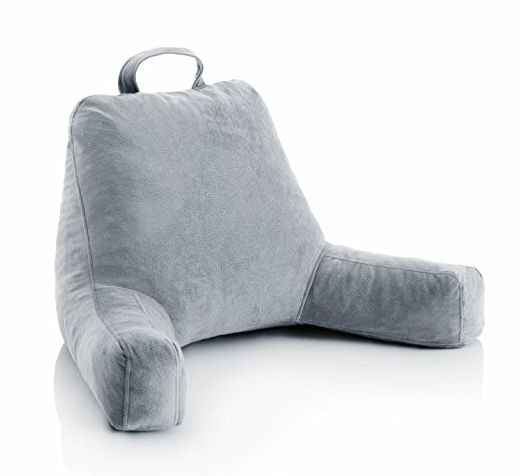 This bed chair pillow also has a handle which lets you carry it easily and move around without a problem. It also has arm rests to provide you the perfect position while you are sitting up in bed. The Linenspa bed chair pillow is a free standing pillow which can be used for toddlers and babies as well. 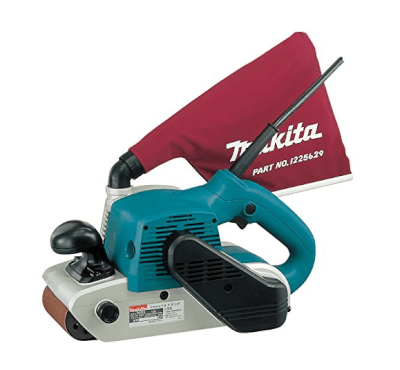 It can be quite supportive for little children so their mothers can carry on with work while they are playing. Overall, the Linenspa bed chair pillow is an ideal choice for multiple reasons. It is an affordable bed chair made from fine quality material as well. It is filled with shredded foam. It has cozy velour clothing. It is a free-standing pillow. It does not have washable cloth. This is another bed chair pillow that is made to suit reading or watching TV in bed. This pillow is filled with polyester so that it is comfortable and cozy. It also comes in various colors so that anyone can pick their favorite color. When you are assigned bed rest after surgery you might know how boring it gets to stay in bed. However, this pillow will help you fight boredom as you can read, watch movies and do so much more in a comfortable position. This pillow is also ideal for children who have not yet learned to walk or sit properly as it will provide them support. The Brentwood Originals pillow can also be cleaned with a damp cloth so that you do not have to worry about maintenance. This pillow will come in handy while traveling or visiting stadiums as well. 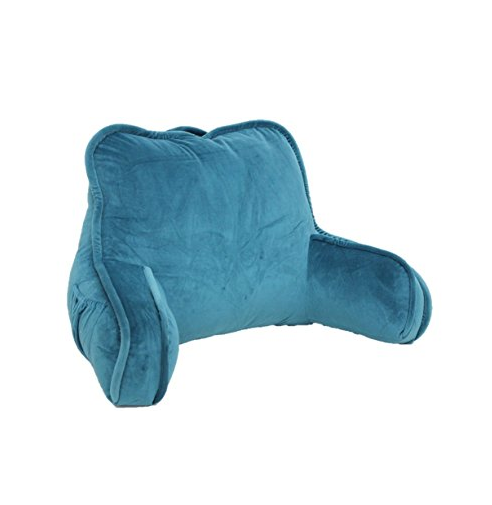 This is a multi-purpose bed chair pillow made to provide the best support in any sitting. It is an affordable bed chair pillow and anyone can buy it without having to spend too much money. This chair does not have a head support but the size is adequate enough to provide support. It is filled with cozy polyester. It can be cleaned with a damp cloth. It is a multi-purpose pillow. It does not have neck-support. This is a huge bed chair pillow that provides ultimate support to readers who like to read while they are in bed. This is a sturdy chair which will let you find your position and keep it for as long as you want. This chair comes with proper arm rests and head rest as well so that you can read without a hassle. 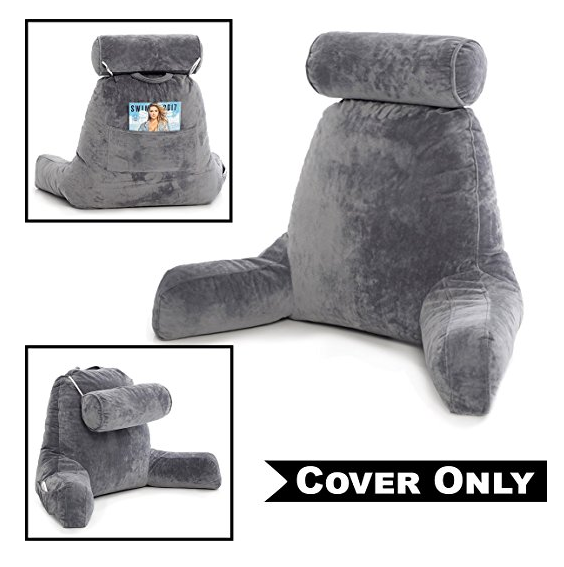 The entire upper body will have support with help of this bed chair pillow. Another interesting thing about this chair is that it has a built-in pocket too so that you can keep your glasses, book or other small assortments nearby when you are reading. This is an ideal bed chair for night-readers. This chair can also be used for watching TV in bed. When there is a match or movie on TV at midnight you can simply use this chair to keep yourself cozy. 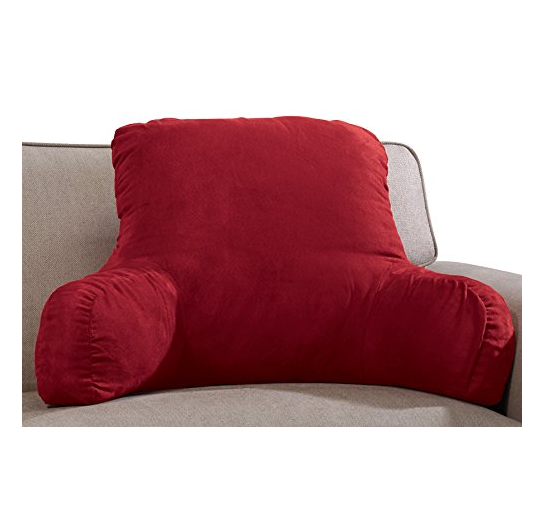 The Husband Pillow bed chair pillow comes with a handle so you can move it around easily. The headrest can also come off with a single button as well. It is a comfy roll which can also be used as leg support. This chair is more expensive compared to others but its quality and performance is beyond others as well. It is sturdy and larger in size. It has a head rest which can be used as leg support. It has a built-in pocket as well. This is a bed chair pillow that can be converted into 14 different positions. It is made from comfy plush material so that you can get cozy while you are on bed. You can use this chair as comforter while you are gaming as well. 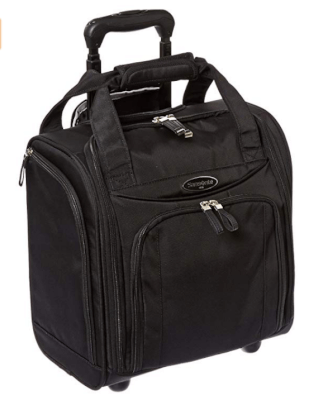 It offers comfortable support that will also be useful in many other situations including at stadium, while travelling, camping and much more. You can also flatten it to provide playing space for children. In short, this chair can be used by anyone at different occasions. However, this is not a self-support bed chair which might be a setback. This piece does not have an arm rest so if you like to have more space then this could be perfect for you. It is more expensive than many similar items which could be the only set back of this chair. But this is a comfortable plush chair that will not disappoint you. 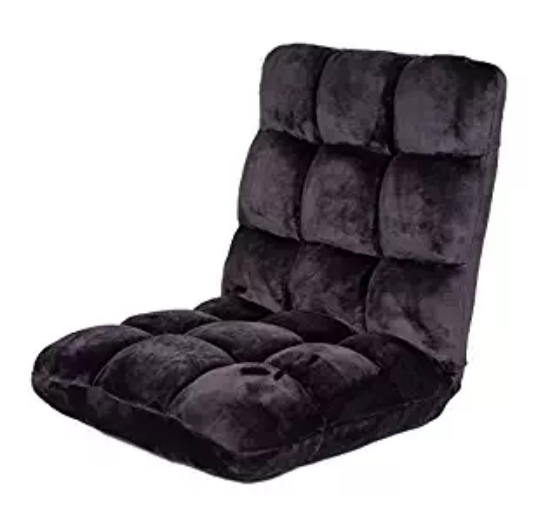 One thing that a reader might not prefer is lack of arm rests but for watching TV or gaming this is a good choice. It will serve at many occasions. It can be converted into 14 positions. It does not have an arm rest. This Keen Edge Home bed chair pillow is made from plush polyester velour in vanilla shade which is cozy and warm. It is filled with shredded foam which keeps this bed chair firm and keeps it from clumping too soon. This is also a portable chair that has a sewn-in handle so you can carry it along when you are travelling or going to watch a big match in the stadium. This item is vacuum sealed so that it will fluff up right before your eyes. It can also be useful for children and elder people who need more support in bed. The Keen Edge Home bed chair pillow looks luxurious because of vanilla shaded velour. The top of this pillow is slightly dipped so that you can rest your neck while you are sitting up in bed as well. The arm rests will also ensure that you can place your arms in a position that is comfortable to you. To sum up, this is a great choice for a bed chair pillow. It is also an affordable pillow that you can buy easily. It has luxurious velour cover. It does not have special head rest. The YesIndeed bed chair pillow is perfect for anyone who likes to rest after a long day at work. This chair will offer you comfort and support while you rest, watch TV or read a book. This is also 18 inches in height so it will suit everyone including adults and children. This chair can be your companion when you relax after a hard day, watch late night TV, or work in bed. This bed chair can also be used to provide support to toddlers while you work. 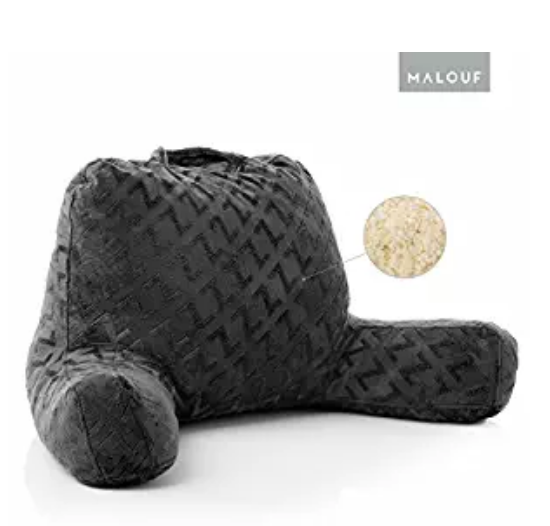 The pillow is filled with shredded foam to make it firm and sturdy.The cover, on the other hand, is made from crystal velvet so it looks luxurious and feels ultra-cozy. The YesIndeed bed chair pillow will also make a good gift for any bookworm you know. This pillow has also become a favorite among customers because it is soft and cozy. Many people claim to use it every day because it makes resting more comforting for them. This pillow arrives in compressed form and will fluff up when ready to use. It is also affordable enough so anyone can purchase this pillow without a hassle. The cover is made from crystal velvet. It is 18 inches tall in height. It does not have a head support. The WaterDrake bed chair pillow is quite a firm pillow which is made to support you while you are in bed. For elderly people, children and those who are recovering from injury this is the perfect pillow as it is filled with firm shredded foam. This pillow will not only help you retain your position but also keep its form for a long time. The pillow will also come in handy on multiple occasions when you need to support your upper body. Besides a firm structure, it has a luxurious cover so that you are comfortable while you are sitting up in bed, reading, resting or just doing nothing. This chair is also a favorite with customers since it has helped many while they were on bed rest, or helped their elderly parents. Overall, the WalterDrake bed chair pillow can be a good choice if you want something firm in bed, chairs or sofas. 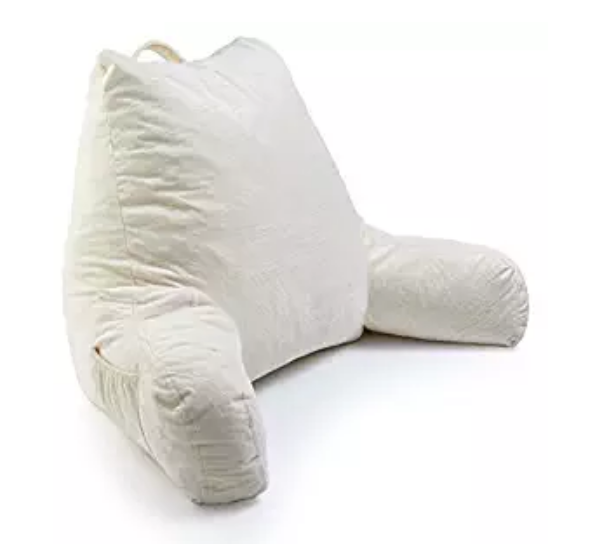 This bed chair pillow has also been a favorite among customers who have little children. It is also cheaper than many other bed chair pillows which mean you can easily afford it as well. 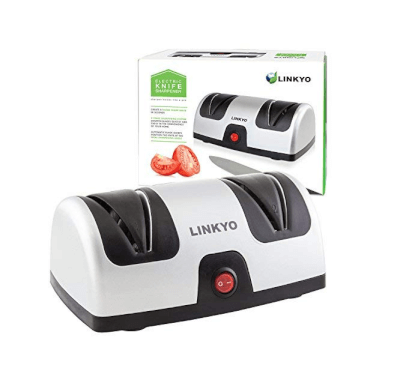 However, some customers have voiced concerns over the comfort level of this product, citing is as not as comfortable as others in the same category. It is ideal for those who are assigned bed rest. It may not be as comfortable as others. It does not feature a head rest. This bed chair is filled with memory foam which will not only help you keep your position but also move around without losing it. In case you have to get up in between reading, working or resting you can come back to fit into the same position. You can also clean this bed chair pillow with the help of a damp cloth and little detergent to maintain hygiene. The Z bed chair pillow comes in grey which looks fantastic and fits in with all types of décors as well. This pillow can be used by adults, elderly and children alike. Whether you want to watch movies in bed or play games you can use this chair as support. This is a lightweight bed chair that is portable so you can carry it along while travelling or camping as well. It has a handle so you don’t have to fit it in your luggage. It is also Z patterned which makes the zigzag self-print look charming. If you are looking for a comfortable yet beautiful bed chair pillow then this could be the right option for you. This multi-purpose pillow costs more than others but since it is a high-quality pillow you will not regret spending a little more for it. It is filled with shredded memory foam. It can be used on several occasions. It costs more than others. In conclusion, there are numerous bed chair pillows that you can choose from. Some are cozier while others are firm. You can choose a pillow according to your preferences. To have support for children and elderly you can choose a firm pillow. On the other hand, for chilling, resting and watching TV a polyester filled pillow will be a better option. The sizes also vary so you can buy a pillow that is perfect for your height. These bed chair pillows will also make for a nice gift for book lovers, working people and children.